Green Environmental Energy Word Template is a free template with Green Environmental Energy illustrations that you can download to make template on Green Environmental Energy. Download free Green Environmental Energy ms word templates and make your template attractive. This Free Green Environmental Energy microsoft word Template has 3 slides with some sample text, which is fully editable. After click on "Free Download" button you will got a mail with free download link of Green Environmental Energy Word Template. Description : Check editabletemplates.com's sample Green Environmental Energy free editable word template now. Be effective with your documents by just using our Green Environmental Energy free MS Word themes which are absolutely free. 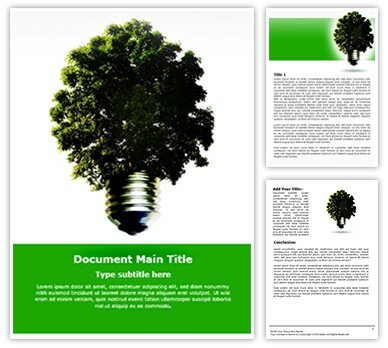 This free Green Environmental Energy MS Word document template is royalty free and easy to use. editabletemplates.com's Green Environmental Energy free MS Word template is so easy to use that even a layman can work with these without any problem. Get our Green Environmental Energy editable Word template now for professional PowerPoint presentations with compelling powerpoint slide designs.